Whilst on a shopping trip to Lincoln, I muttered those immortal words ‘I just want to pop in the fabric shop, won’t be long’ (yeah right). It amuses me that he still believes me when I say this or maybe he’s just resigned to the truth! 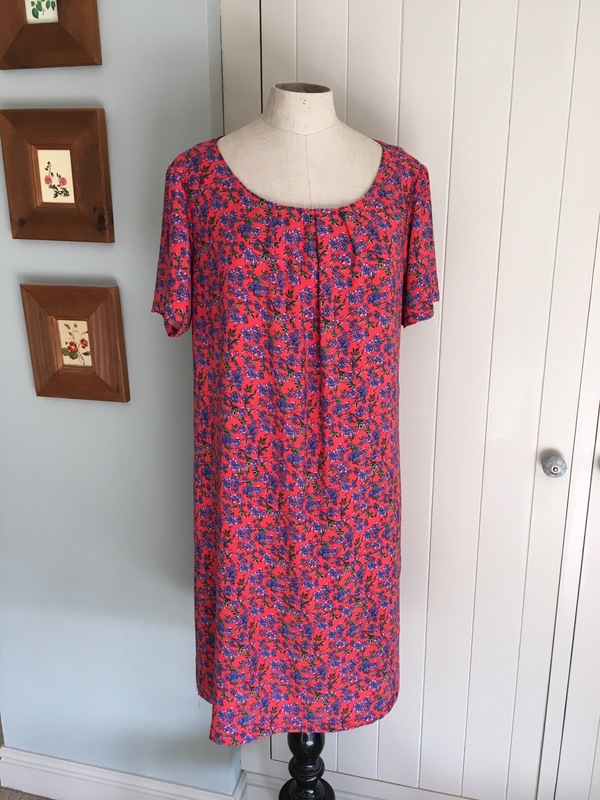 Anyway, there I am in Fabric Corner, doing my usual fabric stroking and I spotted this pretty coral floral viscose. Extremely soft and a wonderful drape, I bought 2 metres of it having no idea whatsoever what I was going to make. I always buy 2 metres and it always seems to be more than enough! The last two dresses that I made were Colette Laurels but I find a high neck style doesn’t particularly suit me. 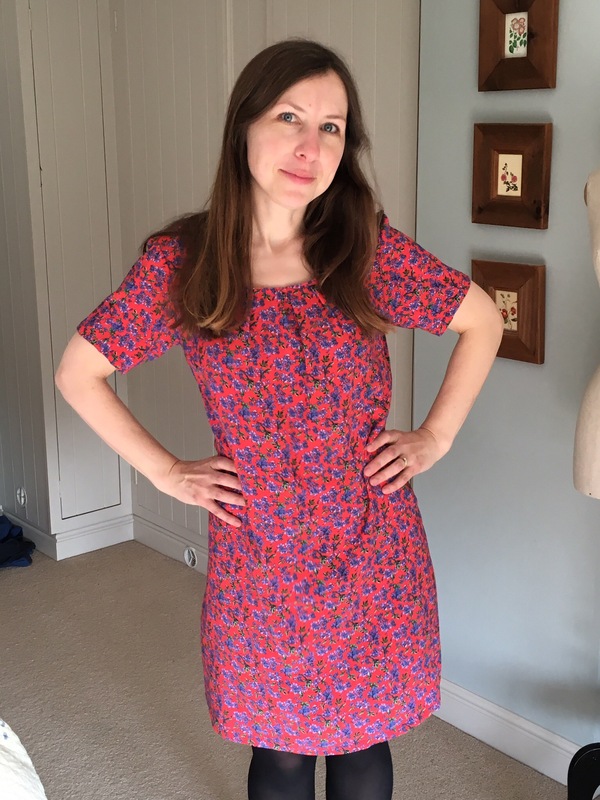 I’ve wanted to make a scoop neck dress for ages and was thrilled when my daughter bought me the Tilly Bettine pattern for Mother’s Day! 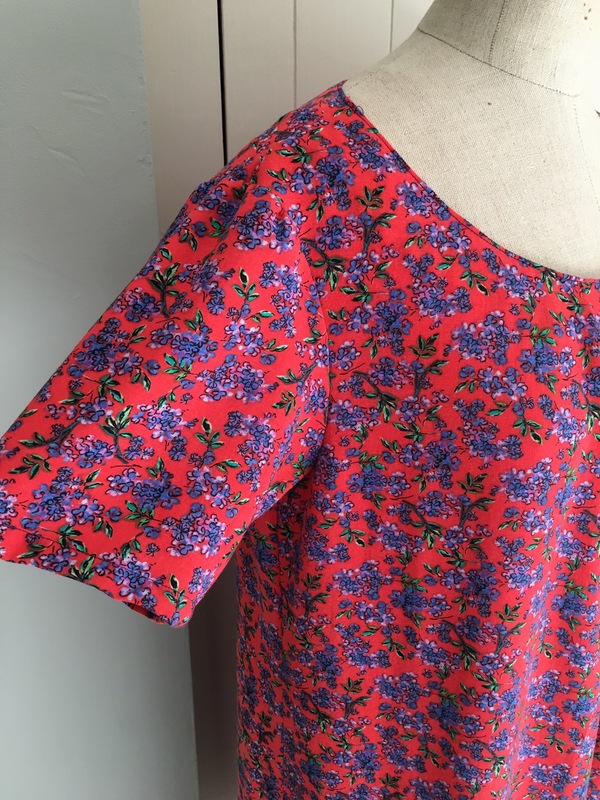 I cannot wait to make it but I wanted some practice using interfacing first. Rifling through my ever growing pattern stash, I came across the New Look 6803. I originally bought it planning to chop off the pattern and make a top but decided on dress B in a size 10. Cutting out the fabric was quite tricky as I always use a rotary cutter and this fabric moved very easily. It was good experience though and didn’t put me off, I just put more pins in and that seemed to do the trick. When cutting the sleeves out, I decided that they were too short and I would prefer longer ones. I only had a small amount of fabric left but recut the sleeves and added some length, having no idea if it would work. It worked perfectly, thank goodness! It’s the first time that I have used facing on a neck line and I was a tad worried about it. I needn’t have as it was far easier than I expected. In hindsight the fabric being very floppy made it hang strangely so I should have made it a bit deeper to ‘tuck down’. 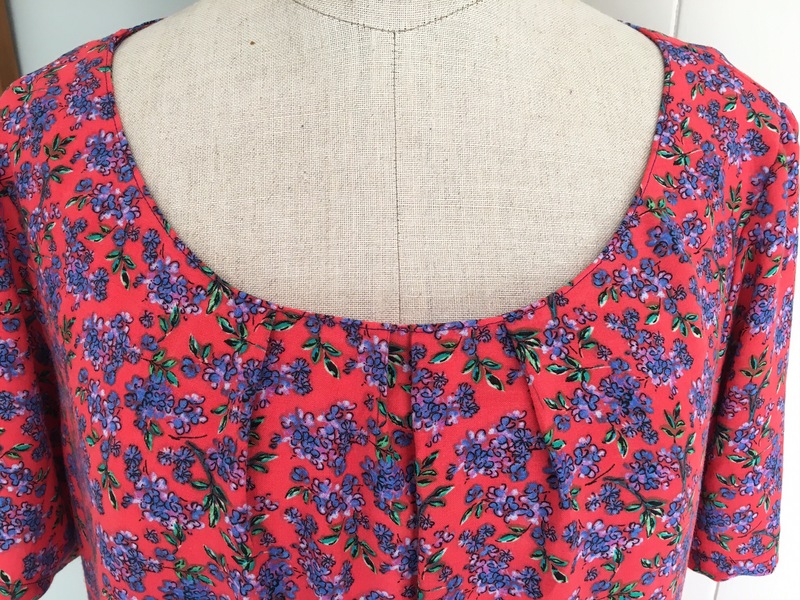 Instead I just did a line of top stitching close to the neckline which was remedy enough. I’m really pleased with the end result and fit, it’s so comfortable and soft. I will definitely make this pattern again and I will also try a top too as the scoop neckline is perfect for me. I’m tempted to make a belt to try with the dress as it will make it more flattering being cinched in at the waist.